LDAP (Lightweight Directory Access Protocol) is a protocol designed to access and manage all information in a centralized, hierarchical file and directory structure so there are no need to manage all information on all systems. The hierarchical structure is shows that how the data is related. It can be used to store any kind of information such as mail id, their personal details, login information and it is often used as one component of a centralized authentication system. In this post, we will discuss how to install and configure an OpenLDAP server on an Ubuntu 14.04 server. We will discuss about installation steps of phpLDAPadmin for graphical interface and secure it through web. Before we start main LDAP software in ubuntu we need to install their dependency which is already added in ubuntu repository. First there is a need to update apt repository so it can configure all added repository and fetch files from there. The above step will update repository of your ubuntu server and then install slapd and ldap utilities which required for OpenLDAP. This will install default configuration for ldap so there is a need to reconfigure setting for your server. This option will determine the base structure of your directory path. Here you can enter domain name of your server. For this guide, we’re going to select linuxtweaks.infor our configuration. This is entirely up to your preferences. For this guide, we will be using linuxtweaks as the name of our organization. As I mentioned in the installation section, this is your real opportunity to select an administrator password. Anything you select here will overwrite the previous password you used. At this point, your LDAP should be configured in a fairly reasonable way. Although it is very possible to administer LDAP through the command line, most users will find it easier to use a web interface. 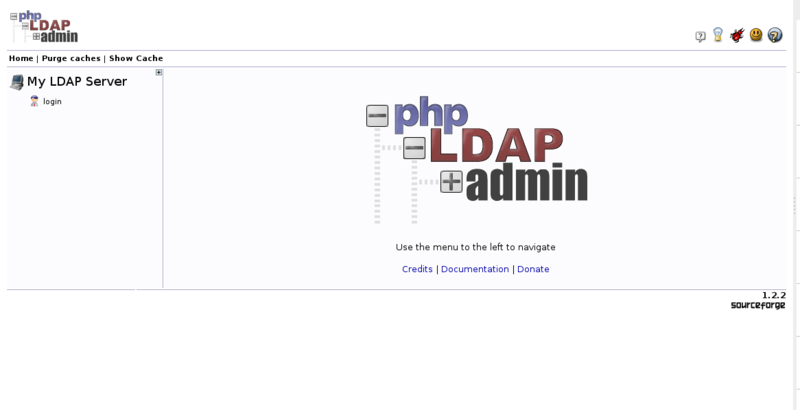 phpLDAPadmin is an web interface for managing LDAP configuration which provides more functionality and to help remove some of the friction of learning the LDAP tools. This should install the administration interface, enable the necessary Apache virtual hosts files, and reload Apache. The web server is now configured to serve your application, but we will make some additional changes. We need to configure phpLDAPadmin to use the domain schema as we had configured for LDAP, and we are also going to make it secure our configuration a little bit. Now that the package is installed, we need to configure it so that it can connect with the LDAP directory structure that was created during the OpenLDAP configuration stage. Next up, you’ll need to configure the domain name you selected for your LDAP server. Here you have to search setvalue with dc configuration. Remember, in our example we selected linuxtweaks.in. We need to translate this into LDAP syntax by replacing each domain component (everything not a dot) into the value of a dc specification. The last thing that we need to adjust is a setting that control the visibility of warning messages. By default phpLDAPadmin will throw quite a few annoying warning messages in its web interface about the template files that have no impact on the functionality. We want to secure our connection to the LDAP server with SSL so that outside parties cannot intercept our communications. To do this, we need to set up a self-signed SSL certificate that our server can use. We can also use a purchased SSL certificate but if we don’t have then we can also use self-signed certificate which will not help us validate the identity of the server, but it will allow us to encrypt our messages. The OpenSSL packages should be installed on your system by default if not then need to install it. First, we should create a directory to hold our certificate and key. You will have to answer some questions in order for the utility to fill out the fields in the certificate correctly. The only one that really matters is the prompt that says Common Name . Enter your server’s domain name or IP address which you want to make secure. When you are finished, your certificate and key will be written to the /etc/apache2/ssl directory. 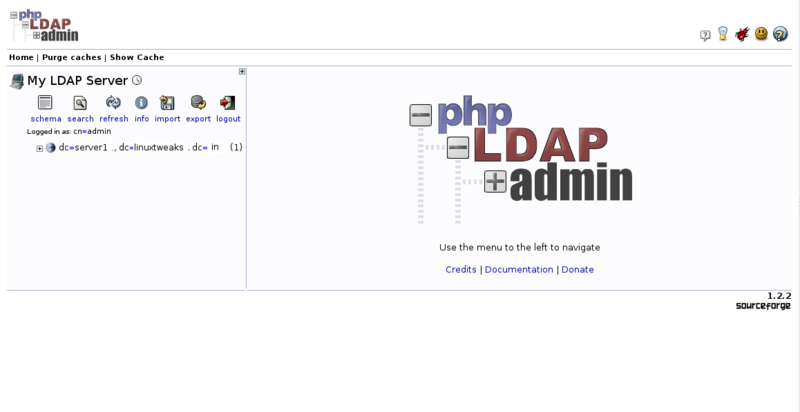 Now there is a need to configure phpLDAPadmin for apache. The first thing we will do is modify the alias that is set up to serve our phpLDAPadmin files. This is the place where we need to decide on the URL location for accessing our ldap web interface such as phpldap. The default is /phpldapadmin, but we want to change this to cut down on random login attempts by bots and malicious parties. For this guide, we’re going to use the location /linuxtweaksldap, but you should choose your own value. Here we want to add our domain name or ip address of our server and setup redirect to point all http request to https interface for security purpose. The changes we discussed will end up looking like this. Here server_domain_or_IP should be the same which is configured in SSL creation and ldap configuration. Apache includes a default SSL Virtual Host file. However, it is not enabled by default. Next, we need to set the SSL certificate directives to point to the key and certificate that we created. We have made the configuration changes we need to the phpLDAPadmin software. We can now begin to use it. The first time you visit, you will probably see a warning about the site’s SSL certificate. Just click on Proceed anyway as this is self signed certificate. Click on the “login” link that you can see on the left-hand side of the page. You will be taken to a login prompt. The login “DN” is like the username that you will be using. It contains the account name under “cn” and the domain name you selected for the server broken into “dc” sections as we described above. For the password, enter the administrator password that you configured during the LDAP configuration. At this point, you are logged into the phpLDAPadmin interface. You have the ability to add users, organizational units, groups & their relationships. LDAP is flexible in how you wish to structure your data and directory hierarchies. You can basically create whatever kind of structure you’d like and create rules for how they interact. You should now have OpenLDAP installed and configured on your Ubuntu 14.04 server. You have also installed and configured a web interface to manage your structure through the phpLDAPadmin program. Have configured basic security for web interface using SSL self signed certificate and apache to forcely use secure data transfer. The system that we have set up is quite flexible and you should be able to design your own organizational schema and manage groups of resources as your needs demand. In the next guide, we’ll discuss how to configure your networked machines to use this LDAP server for system authentication. 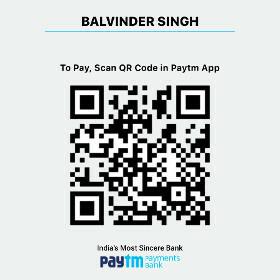 Hello, I am Balvinder Singh - DevOps Engineer with 2.5+ year of working experience with different server environments. Tag Line:-Linux | AWS| WHM |Monitoring | Virtualization | Optimization | Performance | Security | Release & Deployment. I love helping companies / clients to deploy their code / applicateions to well managed, optimized, secure server and can go extra mile to satisfy. Welcome to Linuxtweaks – the blog contains a lot of useful information for Linux System administrator ,newbies who are going to start there career as Linux System admin and also for linux desktop users. We basically share what we are getting issue on daily bases.We started this blog on November 2014 because we wanted to keep our knowledge on one place for future uses and also for sharing our knowledge with others on the basic of Linux technologies. Linux Tweaks © 2019. All Rights Reserved.